Confident Leo III (near Wonderla). Located ~3KM from InfoPark the project has two-and-three bedroom units in a G+16 tower with 6 apartments per floor. The site is 98 cents and pricing is between 44L and 49L. Current Status: There is availability and construction is in progress. Jain Housing Tufnell Park (off Infopark Expressway): 1216 two and three BHK apartments in a land area of around 9 acres. The apartments are priced very competitively at Rs 1900pst. Amenities include clubhouse, gym, swimming pool, children's play area, badminton court, basketball post, cricket net practice area, amphitheater, etc. The project is moving very slowly although it had a completion date of mid-2012. July 2012 Update: construction activity has stopped since the April 2012, apparently due to labor issues. Current Status: Unknown although a few flats seem occupied although the project is by no means near completion. Hoysala EVM Tower Alfa and Tower Beta: This project was announced in 2013 with a projected completion date of December 2015. It has 130 flats across two towers (G+13) on 1.2 acres of land. It is located off the Infopark road from civil station. The apartments vary in area from ~650 sft to ~1500 sft. Current Status: The project is delayed and construction is in progress. There is availability. Hoysala Domain: 124 apartments in a single tower (9 per floor, 2BHK, 2+Study, & 3BHK, G+14) on 77 cents of land very near their EVM project. Amenities include swimming pool and health club. Current Status: The project is delayed. There is availability. Trinity World (off Seaport-Airport road near Chittethukara): A four-tower township project on six acres just off Seaport Airport Road near the Infopark Expressway entrance. The main block features a central atrium which provides excellent cross-ventilation and plenty of natural light. Amenities include clubhouse, gym, swimming pool, party hall, business center, guest room, reticulated gas supply, generator backup, etc. The different towers offer apartments from 1BR to 3BR from ~1100 sft to ~1800 sft. Current Status: There is availability. The towers Jupiter (3BHK, Rs 65L+) & Mercury (2BHK, Rs 46L+), Neptune (3BHK, Rs 62L+) are "ready-to-occupy", and Venus (2&3 BHK, Rs 41L+) is ongoing. SFS Silicon Hills and Meadows (near CSEZ): The location is very near their completed Silicon Drive project. Apartments range in size from 764 sft to 2164 sft across two towers. Amenities include large swimming pool with adult/kid separation, state of the art fitness center, indoor games, multi-purpose hall, and rainwater harvesting. Current Status: The project is complete. Purva Eternity (Athani): A huge project on 5.21 acres with 6 blocks and apartments that vary in size between 1290 sft and 1750 sft. The units have a base selling price of Rs 4000 psft (69.22L onwards, all inclusive - there is also a special offer of up to 7 years assured rent). Amenities include swimming pool, gym, garden, and club house. Current Status: Construction is complete and the apartments are ready-to-occupy. There is limited availability. Olive Kalista (next to Infopark off Edachira Road): Around 740 apartments in a township spanning 8.54 acres across five towers (Arista, Astra, Aleta, Alisha, and Anna) with two and three BHK units along with eleven villas. The units range in square footage between 1339sft and 1799sft. The Base Selling Price (BSP) is set at Rs 3100psft. Common amenities include man-made lake with fountain, boat jetty and boats, lake side deck, swimming pool, children's pool, shuttle court, tennis court, skating ring, meditation hall, amphitheater, clubhouse with indoor shuttle court, etc. Current Status: Alisha is the newly launched tower. Others are either ready-to-occupy while or nearing completion. Infra Vantage (opp. CSEZ, off Seaport-Airport Road): Around 160 apartments in a single tower with two and three BHK units. Square footage varies between 1138sft and 1537sft across ten different plans. Amenities include swimming pool with kids wading pool, terrace party area with pantry, gym, clubhouse, shuttle court, children's play area, janitor's room, convenience store, etc. Current Status: The project is complete. Note: Infra Housing has three other somewhat unique apartment projects in the area: a) Infra Aspire, a compact apartment project near VSNL office - the project is complete, b) The Verandah Gardens, a retirement homes project is delayed several years, and c) Nouvelle, a serviced apartment project which is in progress. 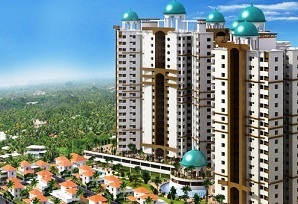 Skyline Spectra (Mavelipuram): Just half-a-kilometer from Kakkanad bus-stand, the project is in a single tower (L-shaped with connecting walkway, G+18) with 87 apartments with square footage between 1125 and 1886 (two-and-three bed rooms). Initial pricing is set at Rs 4750 psft. Amenities include swimming pool (first floor), fitness center, multi-purpose hall, driver's room, childrens' play area, etc. Current Status: The project is in progress and there is availability. Note: There is still very limited availability in their huge Ivy League project (Brown Tower) in Edachira next to Smart City. 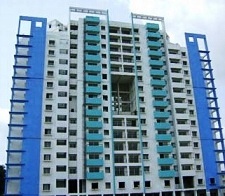 Galaxy Techno Valley (Karimugal): Small one and two-bedroom apartments (352 sft to 591 sft) in a single four-storey tower. Play area, security cabin, and a common toilet are the main amenities. Current Status: Construction in progress and there is availability. Galaxy Pine Court (off Wonderla Road near Athani Junction): Three towers (16 floors) with 270 two-and-three bedroom apartments (725 sft and 928 sft, ~23L and ~29L) on 136 cents of land. Amenities include swimming pool, health club, mini auditorium with indoor games, garden & play areas, rainwater harvesting, sewage treatment plant, etc. Current Status: Construction is on-going and there is limited availability. Galaxy Cloud Space (Edachira): Single tower (16 floors) with 140 three-bedroom (~1100 sft each, ~44L) apartments. Amenities include swimming pool, health club, mini auditorium with indoor games, garden & play areas, rainwater harvesting, sewage treatment plant, etc. Current Status: Nearing Completion and there is very limited availability. DD Diamond Valley: Three towers with two-and-three bedroom apartments with square footage between 1128 and 1544. Location is opposite the DD Green Woods project in Edachira. Current Status: Work in progress. DD Green Woods (Edachira): 102 two-and-three bedroom apartments with square footage between 951 square feet and 1473 square feet near Kalabhavan School. Childrens' play area, rainwater harvesting, sewage treatment plant, and centralized gas connection are the main amenities. Final Update: The project is ready-to-occupy as of 2015 and even now there is availability. DD Misty Hills, a project launched almost a decade ago, also still has a few units available. Rowan Park (Edachira): A 3-acre township project. Two towers (Springs and Scarlet - both 20 floors) scheduled to complete in March and December 2016 respectively as of last year are delayed by another year. Springs have 90 two-and-three bedroom apartments with pricing starting at Rs 50L. Scarlet has 132 one-and-two bedroom apartments starting at around Rs 20L. Location is near Marthoma School at Edachira. Current Status: Both projects are delayed - Springs is nearing completion and Scarlet is now projected to compete in December 2017. Royale Courtyard: Single tower of two-and-three bedroom (between 1216 sft and 3068 sft) units around 4KM from Kakakand Civil Station towards Pukkattupady. Current Status: Work in progress and availability is limited. Prakrriti: Two and three bedroom apartments in two phases with square footage between 1073 and 1687 on 3.76 acres. 08/2012 Update: The pricing for Green Vistas Prakrriti (Edachira, 600 meters from Infopark) Phase I (Sep 2012 handover) and pre-launch pricing for Phase II (handover in 30 months) has both been adjusted to Rs 2800 psft. FRC is Rs 20 per floor and parking is Rs 2L. Previous Update (03/2012): Phase I (July 2012 handover) is nearing completion and they have a couple of good offers at the moment: a) All-inclusive furnished flats (kitchen cabinets and wardrobe) in Phase I (very limited availability) with an assured rentals clause (24 months) available for a special price - several conditions apply including payment of 50% of the quoted amount before March 31st - the pricing for a 1437sft Type D apartment is ~Rs 47.6L and comes with an assured rental of Rs 16K per month - that works out to an all inclusive price of Rs 3314 per square foot, and b) Phase II (EOY 2014 handover) can be booked at the pre-launch price of Rs 2600psft. Current Status: The project is nearing completion after many delays and there is still limited availability. Pricing is upwards of ~40L based on plan. Kent Mahal (off Infopark road to Puthencruz, 200M from Smart City): One to Three bedroom apartments between 650sft and 1350sft on 3 acres of land with six towers. Current Status: The project is complete and ready-to-occupy and there is very limited availability. Noel Serenia (Athani): Three bedroom apartments with square footage of 1750 sft and 2050 sft on a single tower located opposite Fort Township off Athani Junction. Amenities include gym, half basketball court, badminton court, party hall & theater, guest room, generator backup, etc. Current Status: The project is complete. Zenobia (opposite CSEZ & behind Tonico Cafe): Fourteen premium flats (12 two-bedrooms and 2 three-bedrooms) in thirteen cents of land. Square footage varies between 905 and 1300 and pricing between Rs 35L and Rs 60L. Current Status: The project is nearing completion (December 2016 projection) and it is Sold Out. Heyday (Off seaport airport road on Thuthiyoor Road): 20 villas and 16 apartments on a 1.2 acre lot. The villas vary in square feet between 1198 and 2014 while the apartments are between 874 and 1293. Amenities include swimming pool, health club, club house with multipurpose hall, badminton court, etc. Current Status: The project is in progress and there is limited availability. Hillside Gateway (on Infopark-Edachira Road opposite Kusumgiri Hospital): 602 apartments (various plans with 1BHK to 4BHK and square footage between 656 and 2499) and 27 villas (two plans at 3932 and 4012 sft respectively) on 13 acres across 6 towers. A world-class forum mall is to be co-located within the same acreage. Current Status: Project in early launch phase and pre-launch pricing is set at Rs 4000 psft. Confident Capella (off Infopark Expressway): Two Hundred and One, 1/2/3 BHK apartments along with 14 villas that are part of the Confident Corona villa project. The project has just been handed over (2012) to owners association and availability is very limited. Amenities include swimming pool, gym, billiards, table tennis, guest rooms, children's park, party hall, and steam and sauna room. Final Update - 2013: There is no availability and the handover process is complete. Hoysala D'zire (off Edachira Junction next opposite Kalabhavan school): 94 two and three BHK flats in a single block on around an acre of land. The project had a completion date of December 2012 but was delayed significantly. Square footage varies between 828sft and 1381sft with three different plans. Amenities include club house, swimming pool, gym, spa, basketball half court, and pool table. Oct 2015 Update: The project is nearing completion. SFS Silicon Park (opp. Technopolis, off Seaport-Airport Road): Two and Three BHK apartments across two main blocks (Silicon Court and Silicon Gate). The apartments have a square footage of between 1212sft and 2065sft with six different plans. Amenities include gym, party hall, swimming pool, children's play area, garbage chute, etc. The project is nearing completion and availability is very limited. Final Update - 2015: The project is complete and handed over. Purva Moonreach (on Seaport Airport Road near Civil Station): Three BHK units on two blocks with 360-degree views. The apartments have a square footage of around 1900sft. The project is nearing completion. Amenities include billiards room and table tennis room, gym, steam, sauna, jacuzzi, swimming pool with change rooms, club theater, outdoor children's play area, basketball post, etc. Final Update - 2015: Phase I of the project is completely sold-out. Noel Greenature (off Infopark Road from Civil Station): Around 100 "villa apartments" in two blocks with 14 floors. The apartments have a square footage between 1990sft and 2479sft. Each apartment has a private garden area with walkway and view which is a unique feature of the project. Pricing is Rs 3400psft - each apartment has an open garden area measuring around 250sft and that is priced at Rs 1000psft. Amenities include party hall and home theater, pool table, library, swimming pool, gym, kid's play area, shuttle court, two guest rooms, open air theatre, generator backup, reticulated gas connection, etc. The project is nearing completion and availability is very limited. They also have a newly launched project at Athani junction called Serenia. Final Update - 2014: The project is completely sold out and handed over. Good Earth Home's Elements. The project is off Edappally-Pukkattupady Road (on Pipeline Road) in Thrikkakara (not Kakkanad proper but borders it) and consists of 50 flats in a high-rise on a one-acre plot of land. Building foot-print is ~30% and the apartments have "the gardens in the sky" concept similar to the one pioneered by Noel at Greenature. Pricing starts at Rs 4000 per square foot - Rs67L for a 1690sft 3BR apartment. Amenities include club house swimming pool, gym, and sky court. Final Update - 2015: The project was completed in January 2015. Chakolas Orange Park (on Wdonderla road from Civil Station): Studio, one and two BHK apartments across two blocks with square footage between 663sft and 1336sft. Amenities include children's play area, club house, pool, jacuzzi, provision store, indoor shuttle court, table tennis, coffee shop and restaurant, snooker room, gym, launderette, party room, etc. They also have another project called Chakolas Heights near Irumpanam bridge on Seaport-Airport road. The projects are nearing completion and are good value for money with pricing around Rs 2000psft. Final Update - 2015: The projects were originally set to complete in 2012 and is delayed significantly. Construction is almost complete. Skyline Ivy League (Smart City): Around 470 two and three BHK flats on 6.5 acres of land across six towers. There is a large selection of plans across the towers. All towers are launched and the first four are in the process of being handed over. There is very limited availability in those towers while there is still availability in the last two towers (Princeton and Cornell, scheduled handover date 12/2013). The Base Selling Price (BSP) is Rs 3100psft. Amenities include swimming pool and lawn-swimming pool with kiddie's pool, club house-fitness center, games room, children's room, guest room, party hall, home theater, large landscaped areas with children's play area and equipments, etc. Skyline also has a project near Bharata Mata College off Seaport-Airport Road called Corona that is getting ready to launch. 06/2013 Update: A new tower Brown was announced this month with a pre-release pricing of Rs 3750psft, Rs 3L for car park, and Rs 10 FRC from 4th floor. It is very early and the builder is still unsure whether they will get permit for a G+20 as opposed to G+9 approved currently. Final Update - 2015: The project is read-to-move-in for the most part. Limited availability. 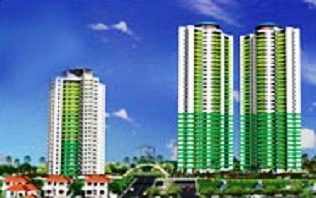 MIR Green Metropolis - Jade Heights Tower II (Opp. Sunrise Hospital, off Seaport-Airport Road): A 32-storeyed tower that is part of MIR Green Metropolis township which has the distinction of being the tallest twin tower in South India. It has 3 BHK apartments with a square footage of ~1820sft with five different plans. The township is part of a 400-units plus 25-villas township project that also includes the completed Emerald Park tower, Jade Heights Tower I, and the Verdant Yard villa project. Amenities include health club, jogging track, swimming pool, yoga center, waiting room, library, guest suite, reticulated gas system, conference hall, reading room, amphitheater, open air party area, kids play area, etc. 05/2013 Update: Pricing has gone up in the last year from Rs 2700-3160psft to Rs 3100-3560psft depending on floor (FRC - Rs 10 per floor) and plan (1850sft plan is priced Rs 150 higher compared to the 1820 sft plan - PLC). Final Update - 2015: Jade Heights Tower 1, Emerald Park Tower, and the Verdant Yard villas are completely sold-out. There is availability in Jade Heights Tower 2 - construction of the tower is still at a very early phase (frames only partly up). Galaxy Greens (near Rajagiri Valley): Around hundred three BHK units in a single tower 100m from Infopark Expressway on the road to Rajagiri Valley. Square footage varies between 1242sft and 1563sft across six different plans. The project is nearing completion. Amenities include swimming pool, health club, children's' play area, mini auditorium, 24-hour security, generator backup for common facilities, etc. Galaxy also has a project call Galaxy Domain near HMT junction. It has similar amenities and 3BHK apartments with square footage between 968sft and 1338sft. Final Update - 2015: The projects are complete and handed over. Jewel Richmond (Rajagiri Valley): Small one, two, and three BHK flats on two single towers (Jewel Crest View and Jewel Ridge View). The Crest View project is slated for completion in September 2012 and Richmond project in June 2012. The Crest View project has seven plans with square footage between 630sft and 1575sft. The Ridge View project has five plans with square footage between 560sft and 1305sft. Amenities are minimal. The downside is the proximity to Brahmapuram waste treatment facility. Final Update - 2015: The projects are ready-to-occupy and there is limited availability. Heera Cyber View (on Edachira Road, near Infopark): 131 flats in a single tower (B+G+15 floors) with square footage between 1345sft and 2090sft (two and three BHK units). There are nine different plans offered. The project is nearing completion. Amenities include fitness center, children's park, passenger lift, backup generator (common facilities only), cooking gas reticulation system, round-the-clock security, etc.Final Update - 2015: The project is almost complete and there is very limited availability. DLF New Town Heights (Civil Station, opposite MLA Road on Seaport-Airport Road): Around 1800 two-and-three BHK flats on 26 acres of land across 20 towers. Square Footage varies between 1100sft and 1750sft with the Base Selling Price (BSP) set at Rs 3500psft. Phase II towers (U and V) are set to launch shortly. 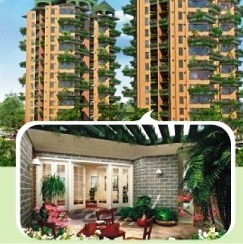 Handing over for Phase I towers is scheduled to commence by mid-2013. Amenities include swimming pool, kids' pool, badminton court, yoga plaza, gym, party hall, cafeteria, table tennis room, salon, video game parlor, cards room, billiard room, squash court, creche, guest suites, banquet hall, convention center, jogging track, etc. Infrastructure facilities include three-tiered security with video surveillance, RO Plant, solid waste treatment plant, underground drainage and cables, etc.05/2013 Update: Pricing was increased several times in the last year: Rs 3750 psft in July 2012, Rs 4000 psft November 2012, and Rs 4250 in January 2013. Car Parking rate was also increased from Rs 2.5L to Rs 3L. 09/2013 Update: 16 units remain unsold among the launched towers and their Signature Tower launch was postponed to Phase II (2014 or so). The project has slipped by another year and handover for launched towers are now scheduled for a phased delivery between October and December 2014. Also, they issued a surprise payment request for between Rs 1.25L and Rs 2.5L (depending on square footage) for taxes paid by them to vendors and such - apparently, in the owner's agreement there is a clause (19.1) that mentions this although the payment schedule had no mention of it. There is some activity within the newly organized DLF NTH owners association to protest the move. Final Update - 2015: The first phase of the project is almost complete and the final demand notices to the first batch of buyers is sent. Minimal availability. Sahara Grace (Chittethukara, opposite Infopark Expressway on Seaport-Airport Road): 944 two-four BHK flats and penthouses on 14.71 acres of land across 14 towers. Square footage varies between 1200sft and 2500sft with the Base Selling Price (BSP) set at Rs 3000psft. The first two blocks (B1 and B2) are nearing completion while the recently launched A3 block is projected to complete by 2015. There is availability in all three launched towers. Amenities include swimming pool, health club with ayurvedic massage parlor, sauna, jacuzzi, gym), party lawn, billiards, snooker, table tennis, guest rooms, kids' play area, artificial lake, gazebo, jogging track, etc. Infrastructure facilities include piped cooking gas supply, helipad, substation, RO plant, CCTV, boom barrier, main gate and boundary wall security, etc. Final Update - 2015: Not much progress - the first two blocks are nearing completion - no ETA on when the project will complete. Mather Highlands (Rajagiri Valley): 248 executive apartments(two and three BHK) in six towers (G+8 to G+14 floors) on 2.78 acres of land adjacent to Chithrapuzha river. Square footage varies between 1233sft and 1619sft across four different plans. Pricing is set at Rs 2500psft to Rs 2800psft depending on the floor. Car parking is Rs 2L and statutory charges are collected at 12.5%. Amenities include clubhouse, gym, recreation area, swimming pool, shops, tennis court, indoor party area, and landscaped terrace. The project is located in a crowded section of the valley next to a number of flats from Jewel Builders with the Mather's own completed villa project "Leisureville" in the middle. It is a very good location for IT workers and executives. There is however one downside that may be a showstopper for many - Brahmapuram waste treatment facility is on the other side of the river and the whole area stinks badly, especially some nights. Their Esperanza project nearing completion on Seaport-Airport road is a good choice if you are looking for Studio Apartments. Final Update - 2015: Both projects are almost complete and three is extremely limited availability in both. Desai Homes - DD Misty Hills (on Veegaland road from Civil Station): 350 apartments and 19 villas in a 5-acre compound on two main blocks featuring two and three BHK apartments. Square footage varies between 982sft and 1292sft. The project has a completion date of December 2012. The apartments are very competitively priced with a Base Selling Price (BSP) starting at Rs 1900psft. Availability in Tower 2 is limited although there is plenty of availability in Tower 1. Final Update - 2015: The project is read-to-occupy and there are few units available. DD Golden Gate, a similar large project also has a few units available. Flair Alliance - Trine Phase I (off Veegaland road from Civil Station): An eclectic collection of two and three BHK units along with large penthouses across three main blocks. The units vary in square footage between 1152sft and 2554sft. Amenities include swimming pool, kids pool, gym, jacuzzi, sauna, card room, tuition room, table tennis, billiards, snooker, visitors lobby, kids play area, society room, on call maintenance, reticulated gas system, conference room, library, reading room, roof top party area, club house, generator backup, garbage chute, shuttle court, basketball post, etc. Flair Alliance has two other projects in the Kakkanad area - Atrium and Corbel. They also have two new projects on the same lot - Phase II and Phase III which are yet to be launched - previously Blueberry and Sofitel. Final Update - 2015: Trine Phase I project is delayed - frame is partly up and there is availability. Their Atrium and Corbel projects are both complete. Rajagiri Campus Court (Infopark Expressway, next to South Indian Bank): It is a township project consisting of two residential towers, one hotel, a mall and multiplex Cinemas. The plan calls for the ~360 apartment (two towers, 25 floors, 3BHK-1760sft, 2BHK-1570sft, few duplexes and penthouses) residential portion to complete in 36 months. The project is a collaboration between Asten Realtors, a unit of Mather builders and the Rajagiri group of institutions. Amenities include swimming pool, club house, health club, children's play area, home theatre, rooftop party area, drivers' rest room, common toilets, high speed elevators, pool tables, spa with jacuzzi/sauna, massage tables and steam bath, indoor games room, video games arcade, 24 hour security with CCTV, generator backup, centralized gas supply, modern fire protection systems, etc. 07/2012 Update: during the pre-launch phase, pricing was at Rs 3000psft and was expected to go to Rs 3250psft shortly. 06/2013 Update: Pricing of Campus Court is now set at Rs 3600psft which translates to around Rs 75L for a 3BR (1760sft) apartment and Rs 68L for a 2BR+Study (1572sft) apartment. 01/2014 Update: Campus Court saw a further price increase around September last year to Rs 3800 psft and they have announced a further increase to Rs 4000 psft effective January 25, 2014. The project is making progress and the three-year time-frame (mid-2015 delivery) for the two apartment blocks looks still on track. Final Update - 2015: The project is delayed although the frames for the two towers are both up. I came across this blog while browsing around for flats in Kakkanad. Interesting I was not able to finalize one yet. Even though I was much interested in getting a flat in Zenobia (http://www.dreamflower.in/zenobia/), it is sold out. I actually looked for the builders with good reputation of providing the projects on time and that's how I landed with Zenobia, a project of Dream Flower. They are having a good record reputation of handing over their project before the given date. Now, I am thinking of going forward with Velvetude 2 in Edappally, which has been just launched.